Description : En vitre. Hauteur : 15 cm. Largeur : 10 cm. Prix : 3rd Place. 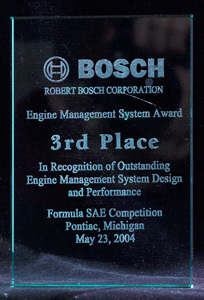 In Recognition of Outstanding Engine Management System Design and Performance.